If you’ve got a child in diapers, chances are you have realized the critical importance of having a great changing pad. From the moment you bring your little bundle of joy home, the changing pad area becomes one of the most frequented spots in the house. It becomes critically important that your changing pad be able to handle anything your baby can throw at it…or on it. When selecting the right changing pad for your child, you’re going to want to consider construction, durability, and safety. 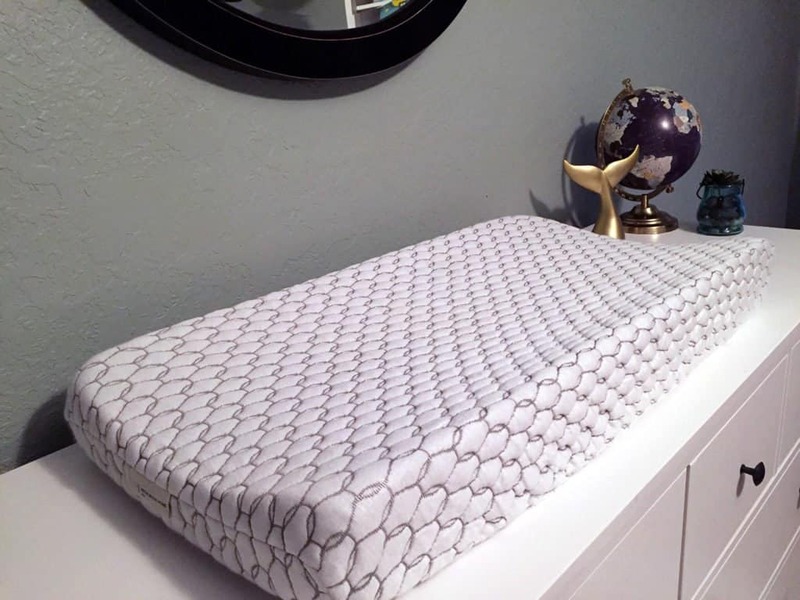 This review looks at the Sweetpea changing pad by Brentwood Home. The Sweetpea changing pad is constructed from a base layer of contoured foam. This foam is then covered with a removable waterproof liner that zips closed. The waterproof liner is non-toxic and easily cleanable. This makes it a breeze to wipe down surface messes and also limits allergens, dirt, and dust from penetrating the contoured foam base. 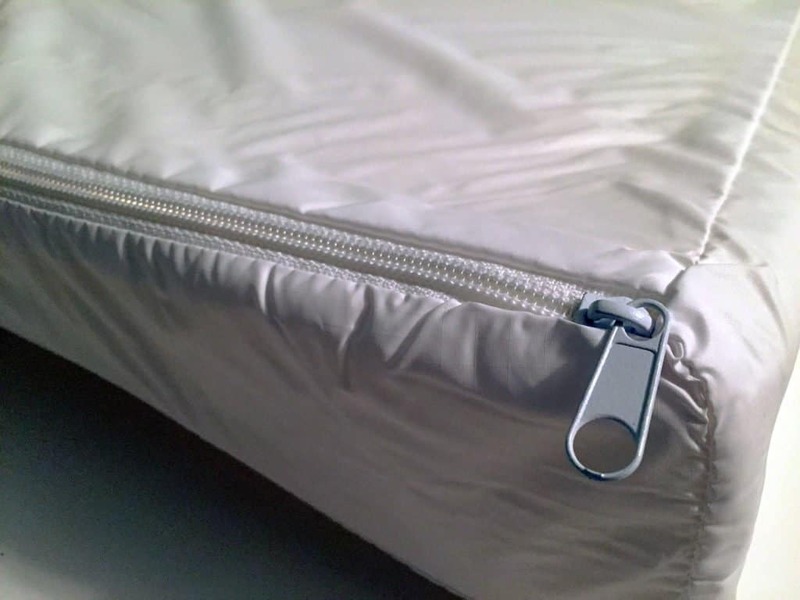 The top layer is a soft, bubble-quilted cover with elastic at the corners to keep it tightly attached to the pad. 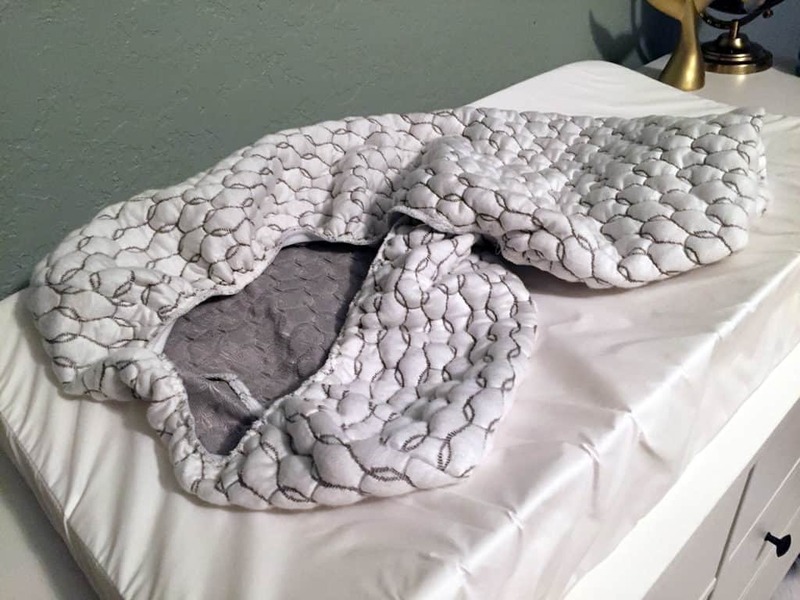 When things get a little messy, both the quilted cover as well as the waterproof liner are machine washable to keep the foam base looking brand new. Unlike some other changing pads on the market, the multi-layered construction of the Sweetpea changing pad ensures that even the most impressive messes can be contained. Easily being able to remove, wash, or replace each layer separately is a great feature of this changing pad. About as important as construction and durability, is the safety of the changing pad. The contoured edges of this pad help keep your little one fixed in the center of the pad, which is a huge bonus when juggling an active infant and a dirty diaper. At its highest point on the edge, the Sweetpea changing pad is about 3 1/2” high and 2” high at its lowest point in the center of the pad. 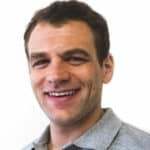 Additionally, the foams used are certified CertiPUR-US, which means they have low VOCs, contain no heavy metals, and are completely non-toxic. Many alternate changing pads do not have the advantage of separate removable layers or the assurance of non-toxic materials. Additionally, some contoured pads have foam that is cut at a rigid 45 degree angle for the edge contour. 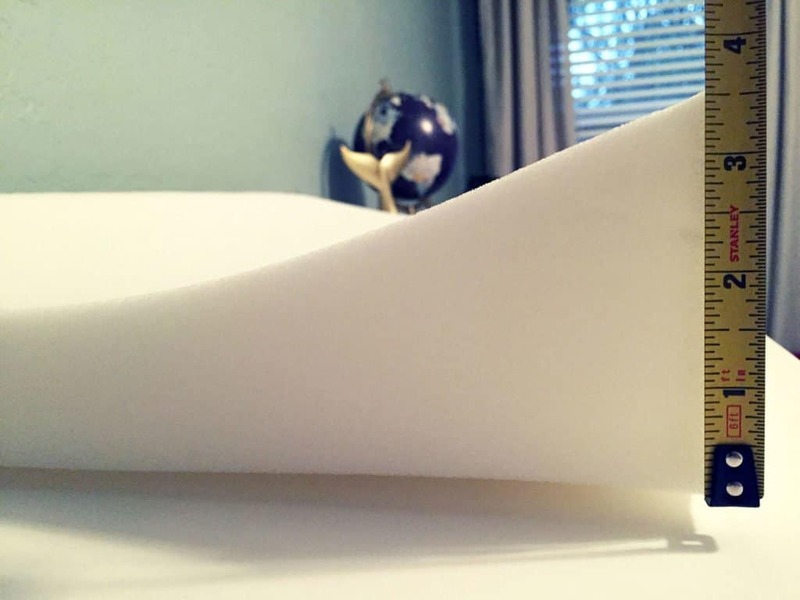 The Sweetpea foam uses a soft curve to gently slope the pad from end to end. The last main difference is the safety buckle. Some alternate changing pads feature a nylon strap buckle built into the pad to secure your child during changings. With a proper edge contour, some may find the buckle to be excessive and unnecessary, but that’s a personal preference. Of course, it is never safe to leave a child unattended on a changing pad- with or without the use of a safety buckle. Overall, the Sweetpea changing pad is a high quality changing pad that is sure to withstand the wear and tear of daily nursery use. We’ve been using this pad daily for about a month now and our infant seems very comfortable on this pad while we change him. Features to appreciate include the removable waterproof liner, smooth contoured foam, and bubble-quilted top layer for added comfort for your little one. Looking for more information on the Sweetpea changing pad? Check it out over at BrentwoodHome.com. The Brentwood Home Sweetpea changing pad offers a contoured foam design that helps ensure your baby stays centered during changings. The foams are certified CertiPUR-US and the cover is removable and machine washable for easy cleaning. The Sweetpea is a solid all around choice, and after a month of hard use, feels durable and built to last.